Lomont Molding has the capabilities to create individualized high strength structural foam molding products based on your design concepts. Our low-cost molding options allow you to experience the value of structural foam molding at a price point that fits your budget. Structural Foam Molding is a low-pressure foam injection molding process where molten resin is injected with nitrogen gas or a chemical blowing agent. The resin is then shot into the cavity, without overfilling or packing it out. The blowing agent or gas then expands to push the molten resin to the extremities of the cavities. As the part cools, the internal pressure of the foaming action takes up the internal shrinkage and reduces sinks over ribs or heavy cross-sections. Why Use Foam Injection Molding? The foam injection molding process can be used on many different sized parts to produce a high strength molded part that is lighter in weight. Many large parts require thicker walls than standard injection molding can effectively produce. Structural Foam allows for quicker process and cycle times on thicker parts. This low-cost molding process produces parts that are structurally sound, nearly stress-free and have minimal warpage. Lomont’s structural molding parts are thicker and sturdier than those created with other processes. A Lomont product that is molded using the structural foam process will typically have a surface which appears to have swirls on it. This is due to the internal “foaming action”, in which some of the small internal bubbles come to the surface of the part. A cross-section of a structural foam molded part will show a cellular internal core sandwiched between two solid wall sections. 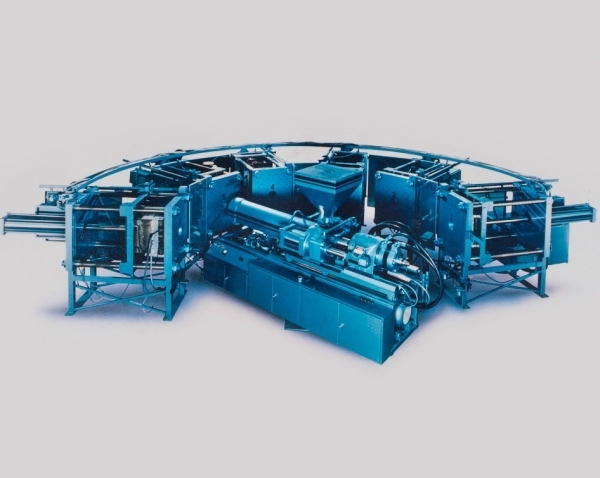 Utilizes less energy – This process uses less energy per pound of plastic and less raw material within the finished product. Reduced molding costs – Part weights can be reduced by 15%, which results in lower material costs, without affecting structural integrity. Larger product design capabilities – Smaller parts can be combined, with contrasting functions, into one part to decrease cost and increase efficiency. Conserves raw materials – Low-pressure molding consumes less raw material than comparable methods. Family molds run together – Due to large platen sizes, family molds can run together to create complete assemblies without the wait. Increased dimensional stability – Low-pressure injection combined with expanding nitrogen gas results in the creation of parts with less internal stress. As a result, the foam injection molding product remains straighter and has increased dimensional stability when subjected to temperature changes and long-term weather exposure. Increased strength to weight performance – The structural nature of the molten resin core allows for increased performance per pound of plastic. Material variety – Lomont’s low-cost molding capabilities allow for numerous types of resins to be used. Efficient and cost-effective – Our structural molding process offers an efficient and cost-effective way to produce advanced quality, easily repeatable parts, for your next foam injection molding project. Contact us for more information on our low-pressure structural foam molding process, or request a quote today.